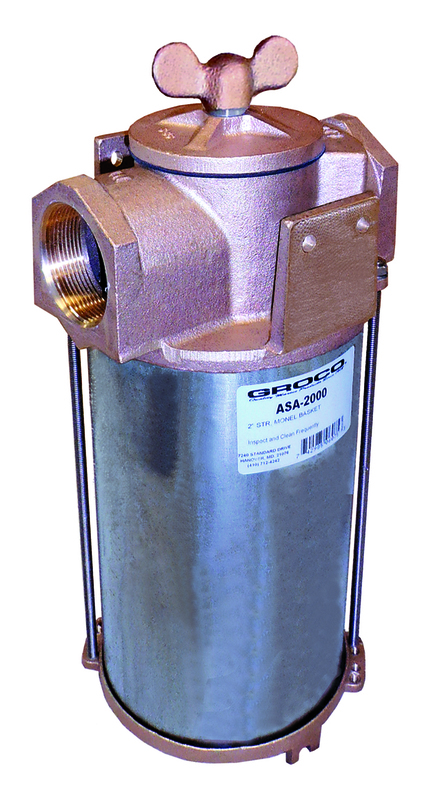 For installation on the suction side of engines and pumps, in commercial, military and USCG inspected vessels GROCO ASA Series raw water strainers are the ideal filtration solution for cooling water intakes for any marine engine, ac unit, or genset. The design makes them long lasting and easy to service while the variety of sizes means there is a fit for every application. 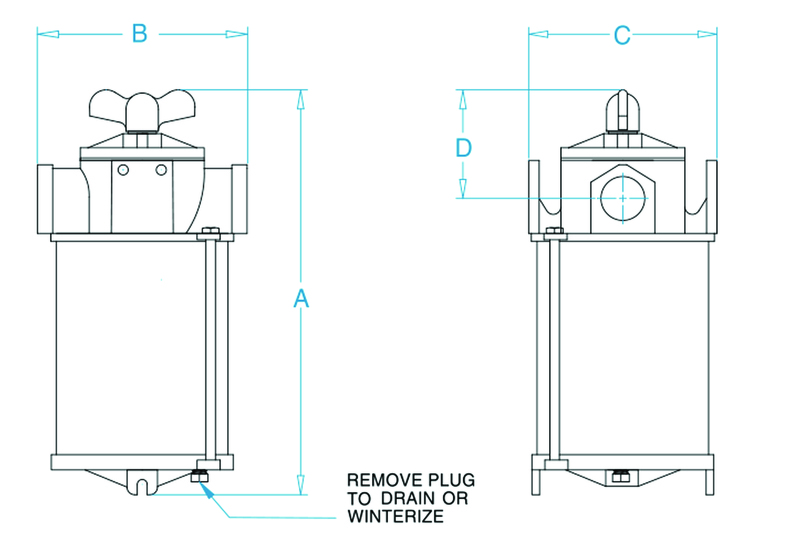 ASA series strainers are designed with a #316 stainless steel enclosure in place of a sight glass, Construction is with bronze head castings and the choice of flter basket materials - #304 Stainless Steel, Monel, or Non Metallic. ASA strainers are offered in 1/2", 3/4", 1", 1-1/4", 1-1/2", 2", 2-1/2", and 3" NPT pipe sizes. Monel inside tie rod and #316 Stainless Steel outer tie rods. Fine mesh filter baskets are also available.